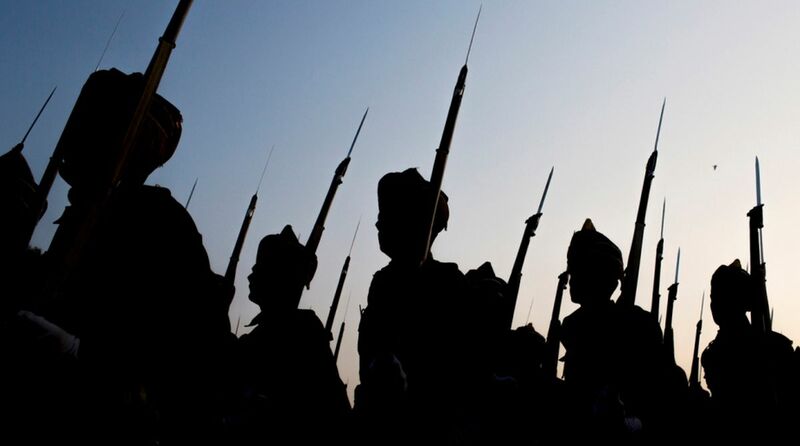 The shortage in the officer cadres of the Indian armed services is not new. Yet what the latest figure of a little over 9,000 vacancies confirms is that jingoism is no magnet and that a worrying trend that has emerged over years has not been effectively reversed. The military registers low on the list of preferred career options among the cream of Indian youth. All the hype over the “surgical strikes” of September 2016, the questionable practice of describing as a martyr every soldier killed in action, claims of having implemented a one-rank one-pension regime, and piecemeal tinkering with allowances and pay-packets have failed to prove alluring. This must prove disappointing to an organisation that has to remain primed to defending two extensive land borders, tackle a raging insurgency in the Kashmir Valley as well as handle hostile forays in the North-east. Information furnished in response to a query in the Lok Sabha tells us that (as calculated on 1 January 2018) the Army has 7,298 vacancies and the Navy is in need of another 1606 officers. Only the Air Force is better off ~ with only 192 empty slots. Could that point to young folk rejecting the tough conditions in which the Army operates, or that the compensation is inadequate to tempt? One thing becomes clear: the emphasis on “nationalism” and “patriotism” does not strike the desired chord. It is apparent that the reasons/explanations offered to Parliament by minister of state for defence Subhash Bhamre do not address the crux of the problem. Government, he said, was taking a number of measures including “sustained image projection, participation in career fairs and exhibitions, and publicity campaigns to create awareness among the youth on the advantages of taking up a challenging and satisfying career”. That was a lot of trumpet-blowing in an environment where a hefty pay-packet is the avenue to the material goodies which mean so much today. True that nowhere in the world does a military career match with what the corporate sector offers, yet it is incorrect to assume every young person will scale the corporate heights that ensure living in a luxury accommodation, driving a limousine etc. The relatively short military career is another drawback. Would the answer lie in lateral transfer from the “arms” to the “services” that might help maintain the youthful profile of the combatant elements? Or transferring to senior NCOs some of the duties performed by Lieutenants? Clearly some out-of-the-box thinking is necessary. And though it might ruffle feathers to say so, a transparent promotions policy will help: the days of favouritism and sycophancy must end. Only then will officers encourage their children to don the uniform.